What is included with a Dandelion home geothermal system? The Dandelion Air heat pump. The Dandelion Air is a two-stage, water-to-air geothermal heat pump with built-in performance monitoring.See the heat pump’s technical specifications for more detail. Each system comes with a 10-year product warranty, which includes a 5-year labor allowances package, and a 3-year workmanship warranty. How much does a Dandelion home geothermal system cost? For homeowners who choose to pay for the system upfront, the system costs $19,423. In this case, the only ongoing cost for heating and cooling is the electricity to run the system. A typical home in NY will spend around $70/mo on electricity to run the system (the cost of electricity to run the system varies based on the size of the home and the price of electricity). For customers who choose to finance their purchase, the Dandelion home geothermal system costs nothing upfront and $135/mo over 20 years. What is the Dandelion Air? The Dandelion Air is a two-stage, water-to-air geothermal heat pump with built-in performance monitoring. The heat pump is designed for homes that distribute heating and air conditioning using central ductwork and vents. Our system replaces a home’s existing furnace and air conditioning units. Once installed, the Dandelion Air will meet all of the home’s heating, air conditioning and hot water needs. Typically, the Dandelion Air is installed wherever the furnace was previously located. The Dandelion Air feeds into the home’s existing ductwork. See the Dandelion Air’s technical specifications for more detail. What are the benefits of a Dandelion home geothermal system? What are the maintenance requirements for a Dandelion home geothermal system? The system requires a new air filter every six months. Switching out the air filter takes less than two minutes. How long does the Dandelion home geothermal system last? The lifespan of the Dandelion Air is 20 years. The lifespan of the ground loops is 50+ years. How big is a Dandelion Air? The local installer will determine the best-fit size for your home using the data they collect at the Site Survey. How can I purchase a Dandelion Air? The first step is to take this brief questionnaire to see if your home qualifies. What does it mean that the Dandelion Air is a two-stage heat pump? The Dandelion Air two-stage compressor allows the system to achieve even higher levels of efficiency when the home doesn’t require the full force of the system. The system operates at Stage 2 to bring the home up to the desired temperature. Once the home has been brought to the homeowner’s desired temperature, the system will switch to Stage 1, and continue to run on its partial load setting. This two-stage system allows the home to maintain a steady, even temperature efficiently, in terms of both energy and cost. What does it mean that the Dandelion Air is a water-to-air heat pump? A water-to-air heat pump is a heat pump for homes that use forced hot air heating (homes that distribute heat using ductwork and vents). Water-to-air heat pumps, like the Dandelion Air, can provide both heating and air conditioning. This type of heat pump does not work for homes that use radiators to distribute heat. Homes that use radiators will typically require a water-to-water heat pump. What is the purpose of the system’s built-in performance monitoring? Few things are as critical as making sure a home’s heating system works reliably day after day, year after year. The Dandelion Air’s monitoring system enables top performance, reliability, and savings. Automatically tests the Dandelion Air’s performance. First, the system is tested at the manufacturer. Second, the system is tested in the home when the install is complete. This ensures a proper install and a system with optimal efficiency. Flags any issues that arise with the Dandelion Air’s performance. This enables installers to proactively respond and troubleshoot any problems using data. Is compatible with the Nest Learning Thermostat. This allows for added insight and control over energy usage and savings. Is connected to the cloud via a cellular gateway, with wifi backup. This enables the Dandelion Air to receive software updates and continue to get better over time. 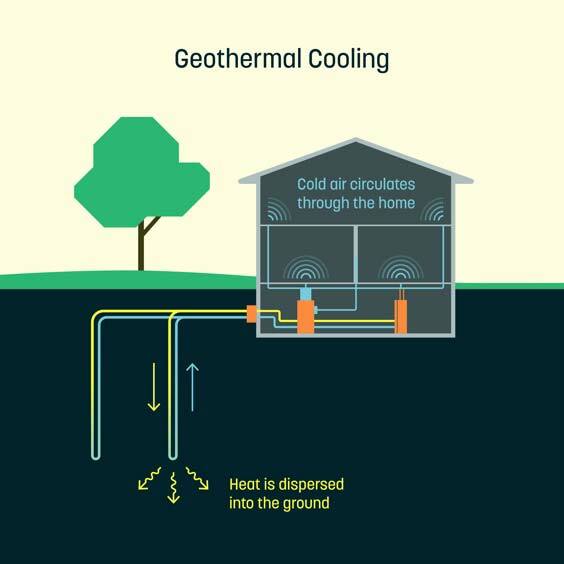 Read about how geothermal heating and cooling works on our blog here. What is the environmental benefit of switching to geothermal? Most home geothermal installation reduce greenhouse gas emissions by 7 tons per year. This is equivalent to removing almost two cars from the road each year your system is up and running. How do I know if the Dandelion Air is a fit for my home? The Dandelion Air fits homes with forced hot air heating (homes that distribute heat using ductwork and vents). Check to see if Dandelion is available in your area. When will Dandelion be available in my area? Dandelion prioritizes new areas based on homeowner demand. Sign up here and ask your neighbors to do the same; the more demand we see in a given area, the more we will prioritize expanding there. Ask your HVAC installer to apply at www.dandelionenergy.com/installer-partners. Is my yard large enough for the ground loops? A home will require one or two ground loops depending on its heating and air conditioning needs. The ground loops are installed vertically by creating a hole approximately 6” in diameter, inserting the loop(s) and then filling in the hole. Because the loops are installed in this way, most yards are large enough to accommodate the ground loops. The installer will make the final decision on this during the home Site Audit. How do I prepare for my installation? Typically, minimal preparation is required. Your local installer will let you know if there’s anything you need to do to prepare your home for geothermal. What does a Dandelion installation entail? Your local installer will visit your home and take the measurements required to design the system to fit your home. The installer will also look for any potential issues that could impact the success of your installation. Your local installer will coordinate with a driller to install one or two ground loops. The ground loops are the underground pipes that exchange heat between the ground and the Dandelion Air. This part of the installation takes place outside your home. Lastly, your local installer will remove your existing furnace and install your Dandelion Air, Nest thermostat, and preheated water tank. This part of the installation takes place inside your home. The duration of an installation varies based on the factors specific to the home. Phase 1: Site Survey. Approximately 2 hours. Phase 2: Installation of the ground loops. 1-2 days. Phase 3: Installation of the Dandelion Air and system commissioning. 1-2 days. How big are the ground loops? Ground loops are 1.25 inches in diameter, installed to a depth of approximately 500 feet. The exact length will depend on the needs of the given home. You will need to be home for the parts of the installation that take place inside the home. This includes the Site Survey and the installation of the Dandelion Air. You do not need to be home for the installation of the ground loops. Who are the local installers and drillers and how are they selected? Dandelion vets each of our local installers extensively and has a rigorous set of design and installation criteria . You can be sure you are getting a high-quality installation and the best possible deal. Installers can apply to work with Dandelion at www.dandelionenergy.com/installer-partners. What can I expect my yard to look like post installation? Every yard is different. The appearance will depend on how soggy the ground was, the drilling equipment used, the geology underneath the house, and more. Conventional well drilling equipment is used for the majority of installations, so the yard will look as if a well has been installed. What is the Dandelion Drill and when is it used? The Dandelion Drill is a drilling solution for urban and suburban homes without enough space for a conventional well drill. The Dandelion Drill has limited availability, so most customers will get their installation with a well drill. Dandelion Home Geothermal costs $19,423 after applying the 30% federal tax credit and a cash discount. The pre-tax credit price is $29,247. Homeowners can choose to pay for their system upfront or using a loan provided by our partner Enerbank. The loan option allows homeowners who qualify for the tax credit to pay nothing upfront and $135 per month over a 20-year term. There is no prepayment penalty on the loan. Dandelion requires payments via ACH. Homeowners choosing to pay using the Enerbank loan can read about the payment methods Enerbank accepts here. What are the details of the Enerbank loan? The Enerbank loan is a combination Same as Cash loan and 20-year loan. The Same as Cash loan has a 0% interest rate if paid off within 18 months. This is used to defer the portion of the cost offset by the 30% federal tax credit until the tax returns come in. The 20-year loan has a 4.99% interest rate. What are the incentives in my area and how can I receive them? 2018 is an exceptionally good year for home geothermal incentives. 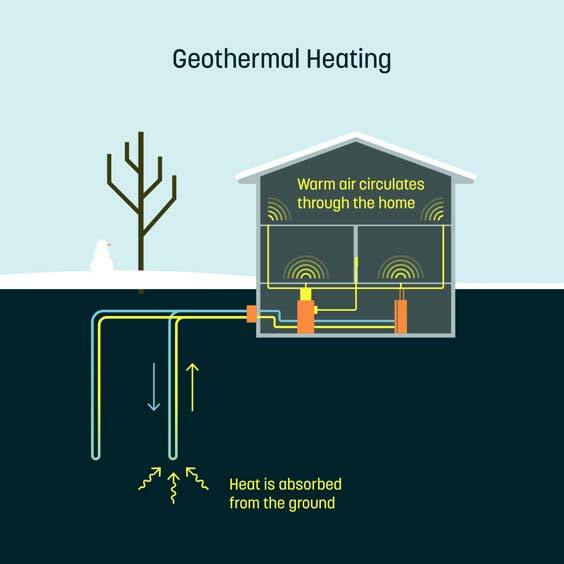 For homeowners located in New York state, the New York Energy Research & Development Authority (NYSERDA) provides a $1,500/ton incentive for home geothermal installations. In addition, there’s a 30 percent federal tax credit. You can read about how to get the federal tax credit on our blog here. What happens if I move after I’ve purchased the system using the Enerbank loan? The Enerbank loan has no prepayment penalty, so homeowners can choose to add the remaining amount owed on the loan to the purchase price of their home.